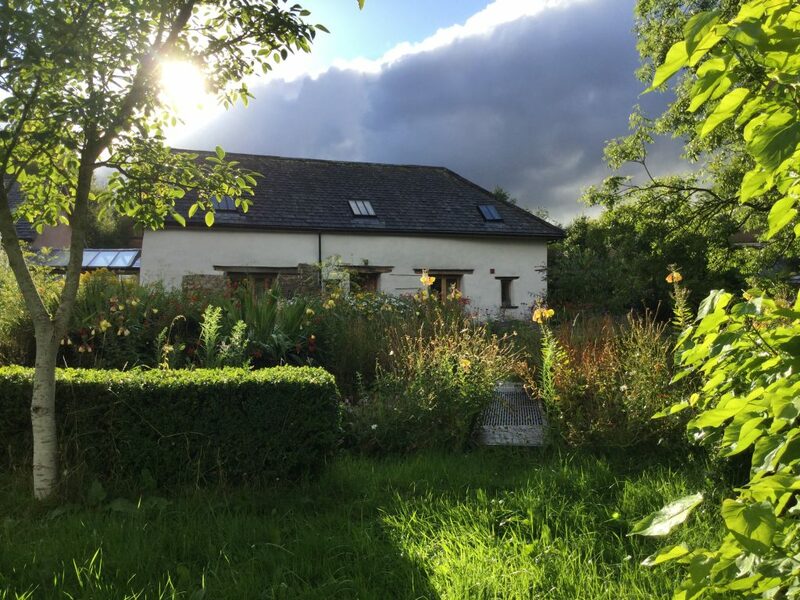 A warm welcome to Viveka Gardens Yoga Farm and the Autumn retreat for Yoga Teachers and Trainee Teachers, 18 – 20 October 2019. 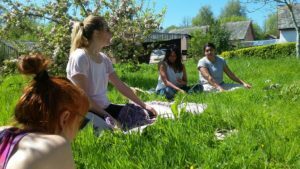 An opportunity to practice the ashram day, take a turn at teaching or leading a workshop, take part in co-mentorship, relax with your peers, gain spiritual nourishment and recharge. As we’ll be sharing good practice you can add it to your continuing professional development. If you’re a beginner teacher, rusty or for some reason have lost confidence, this stay will support you. This retreat is at a reduced price to reflect we’ll be sharing the teaching and mucking in to maintain our container and mini-community. The schedule, approach and ethos will be based on the Sivananda tradition; teachers from other schools and approaches are more than welcome in a spirit of sharing. 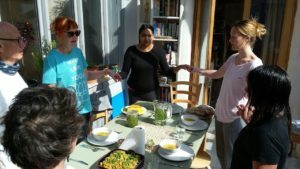 Be prepared to teach a class or lead a workshop and to join the karma yoga rota for cooking and cleaning, ashram-style. It’ll be a very light load with everyone involved. Arrival from 2 on Friday, departure 12.00-ish on Monday. See link for full info and booking form. Anyone who would like to arrive a couple of days earlier for karma yoga is MOST welcome! There will be garden work and house chores to do. Retreat finishes in time for a visit to the beach, walk on Dartmoor or early return home. There is space for 8 people, and the reduced cost price is £195 (2 nights). I’m looking for the least amount of faffing, dear yogis, so to reserve your place sooner rather than later here is a form with payment options. Go to the instagram page to see what it’s like here at Viveka Gardens. Be in touch with any questions. We cook and eat together, sharing the same food. Please respect the vegan yogi diet here (no alliums, caffeine, milk, eggs etc). Please practise mouna from end of evening meditation til after morning meditation. Car sharing is strongly encouraged – let Fiona know on the booking form if you need/can offer a lift or could pick up from Exeter or Crediton station. See contact page for directions.